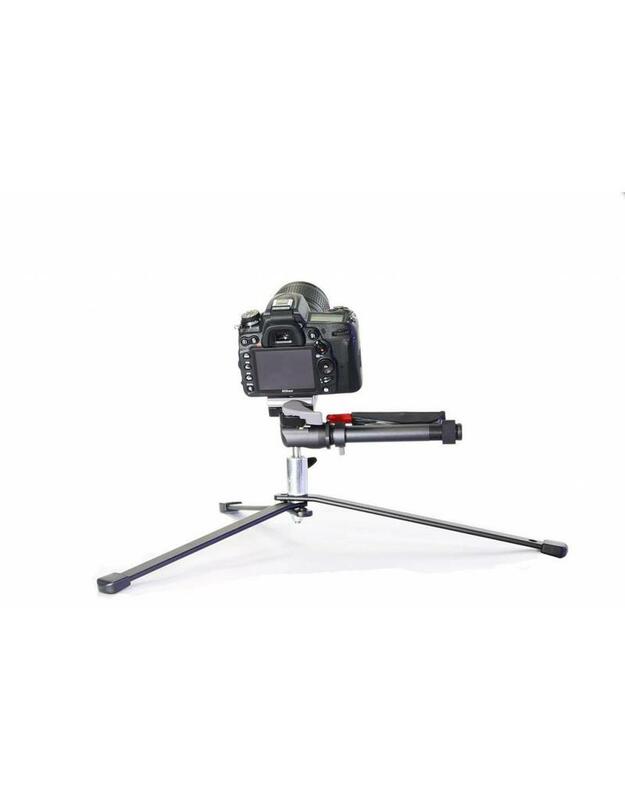 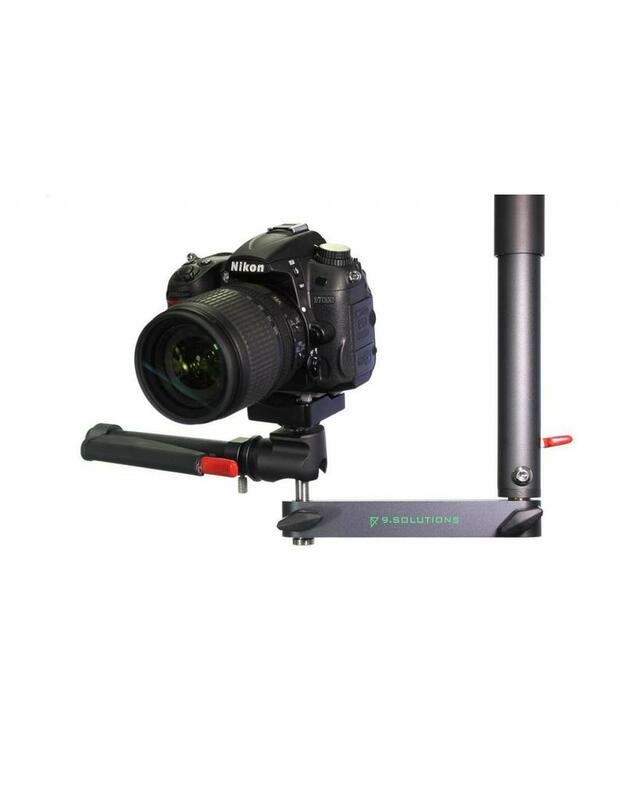 The Angled EL-Bo Arm from 9.Solutions is the fundamental design behind a series of incredibly strong articulating arms that can be used to hold lights, cameras, monitors, musical instruments, tablets, and more. 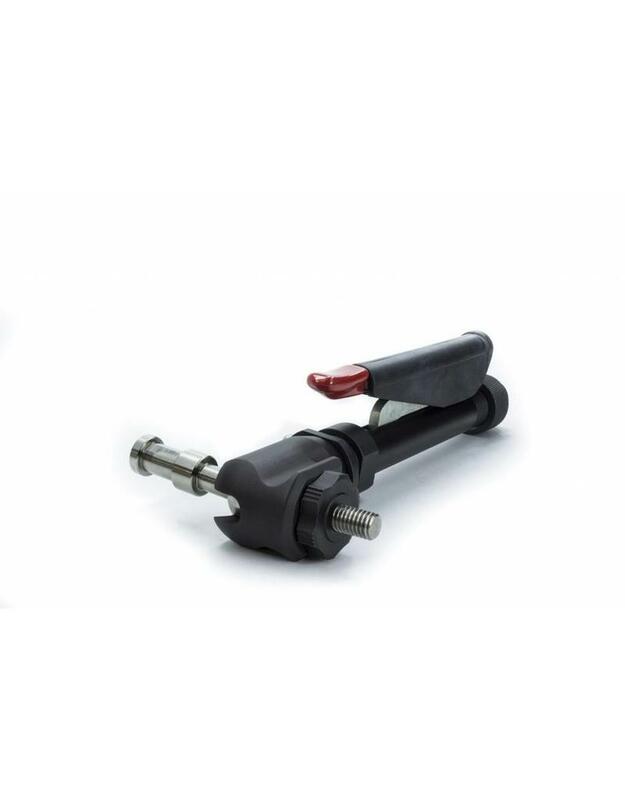 The EL-Bo Arm has an elegant locking-mechanism that makes it possible to operate with one hand. 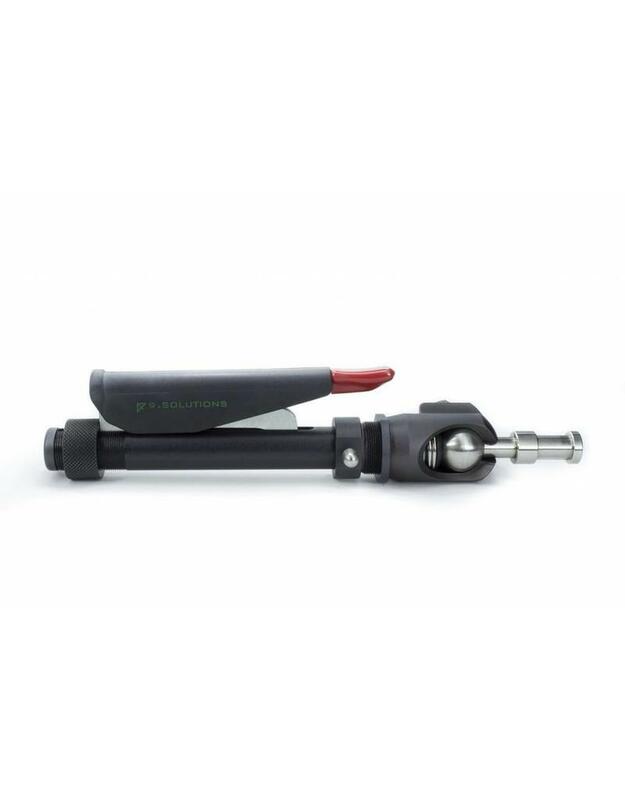 The compression handle locking-mechanism makes repositioning the arm quick and easy. The EL-Bo Angled Arm was designed to carry equipment on its ball joint. 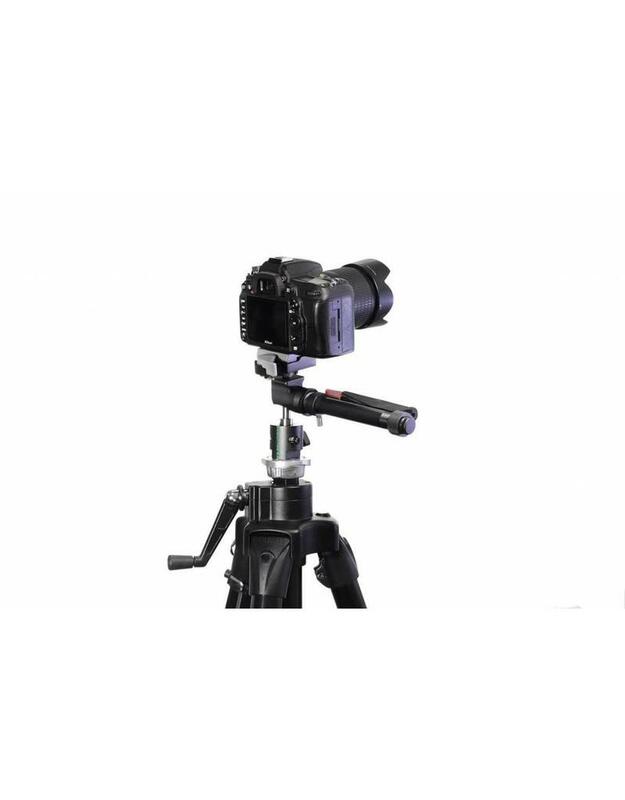 This allows for heavier payloads, and it makes the arm uniquely adept at mounting cameras in a "pistol grip ball head" manner. The EL-Bo Arm series of articulating arms is patent protected.